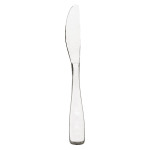 This Modena dinner knife is serrated to make slicing vegetables, pastas and tender meats effortless. Because of its quality construction, this stainless steel dinner knife will not warp, bend or break saving you money on costly replacements! 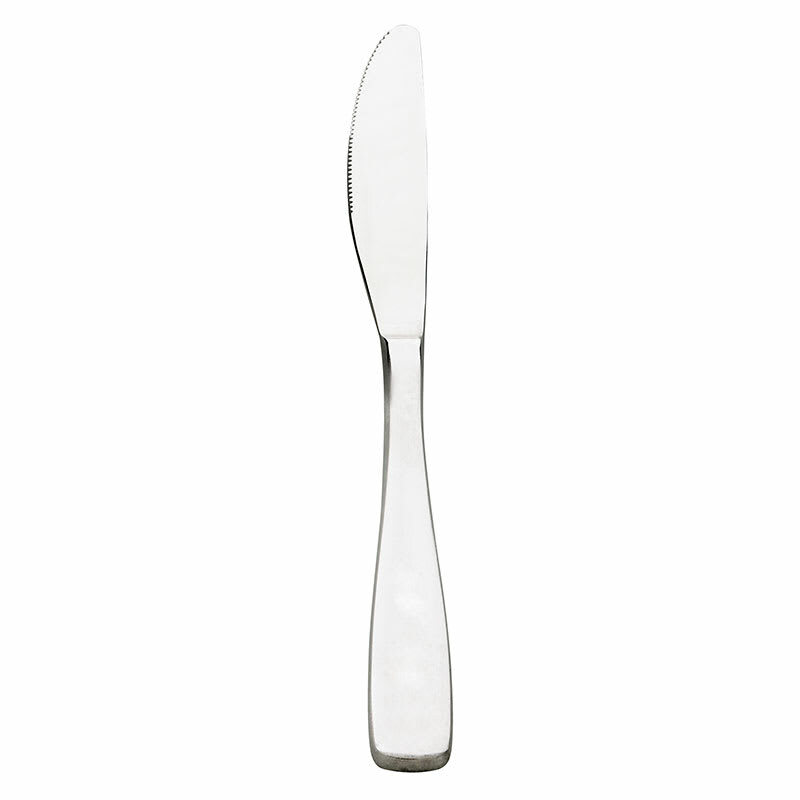 This beautifully designed Modena dinner knife by Browne Foodservice is an elegant addition to any tabletop. Constructed of 13/0 stainless steel, this Modena dinner knife will resist corrosion and retain its gorgeous shine for years to come.